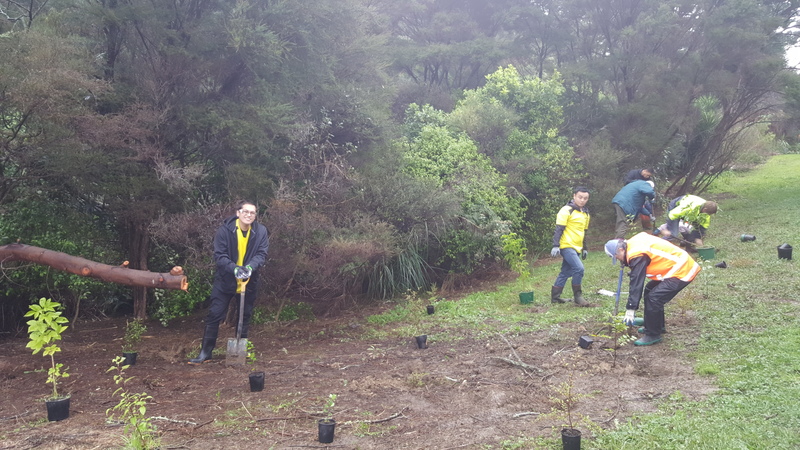 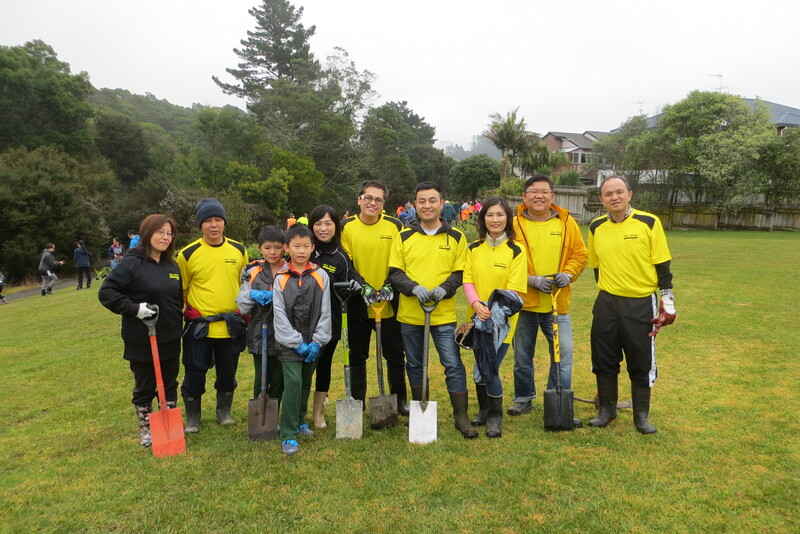 ‘Working with environmental groups A Rocha and the Kaipatiki Project, Ray White Albany came armed in warm clothing and gumboots, ready to assist with the planting of trees in Unsworth Reserve, to help rejuvenate and strengthen the natural growth with additional trees. 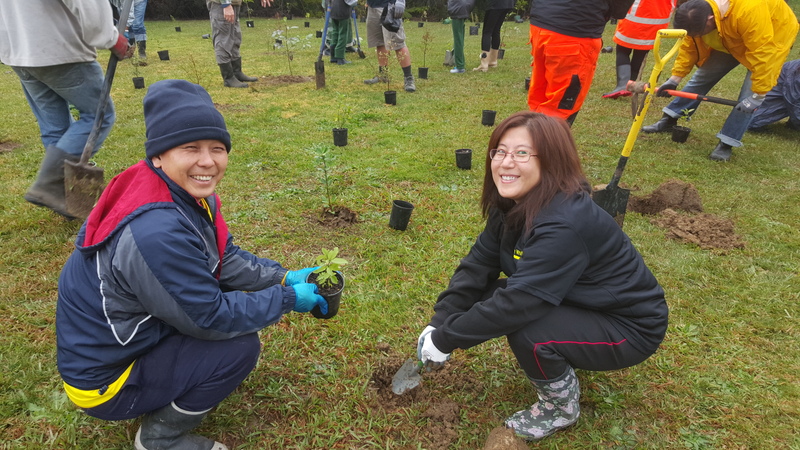 Volunteers were ready to sustain the planting effort and energy levels with a sausage sizzle, fruit, lollies and other treats for everyone. 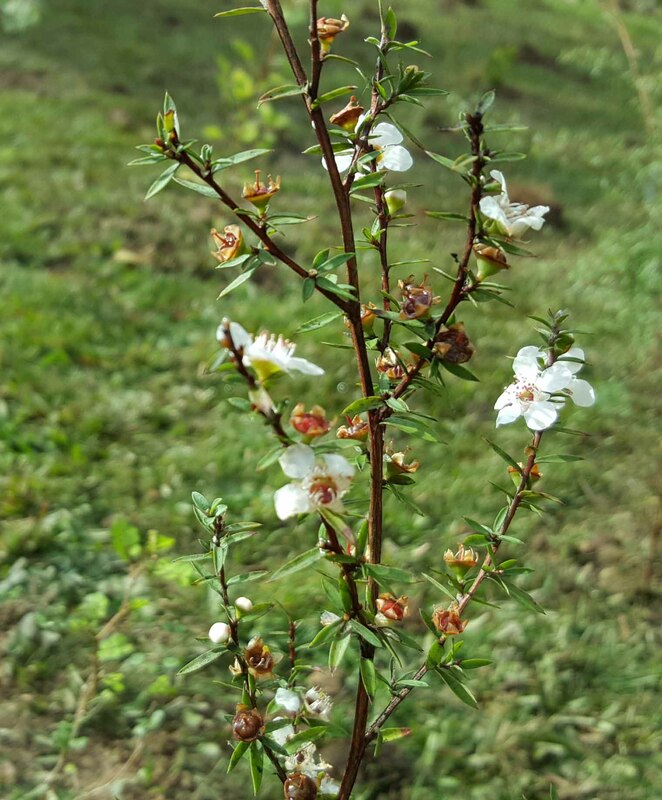 In what was a great team effort with ourselves and the community, over 2,000 trees were planted all over the reserve, in a hugely enjoyable and collaborative experience. 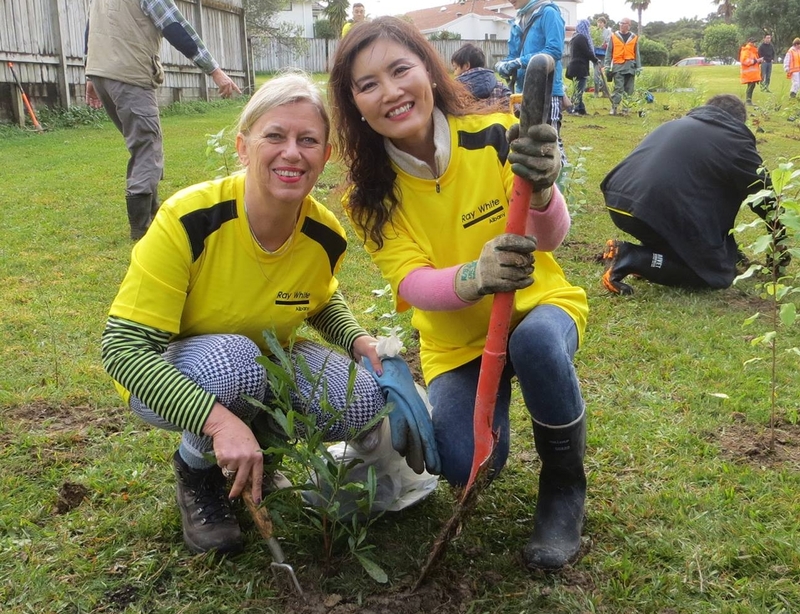 Thank you to all of our Albany team as well as the rest of the community, in making a tangible difference which will be evident at Unsworth Reserve for many years to come.